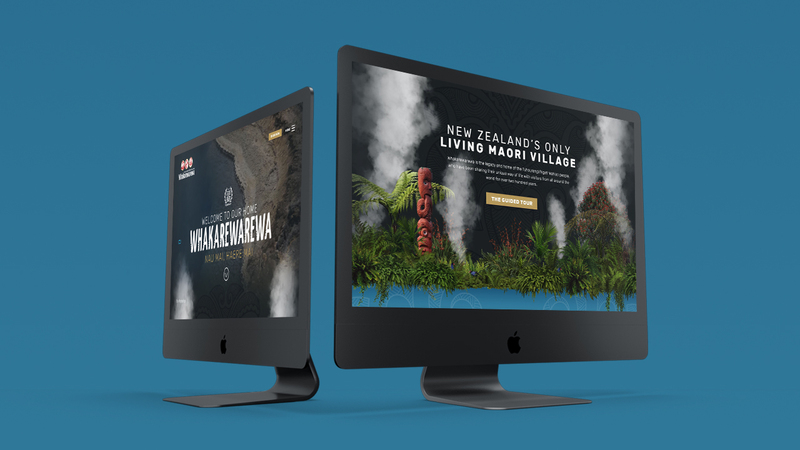 Re-imagining a digital presence for NZ’s oldest tourism operator. Whakarewarewa Maori Village are a cornerstone of New Zealand tourism. Welcoming visitors to their village since the early 1800’s, Whakarewarewa have been the trail blazers of the tourism industry in Rotorua and New Zealand. While the village and the people of Tūhourangi Ngāti Wāhiao have long been on the forefront of tourism, their website was dated and no longer achieving acceptable results. Built on a closed-source CMS it was expensive to update and maintain, and had become slow and clunky. 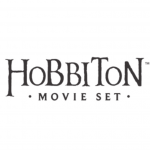 The Maverick Digital team wanted to provide a website that was beautiful, fast, and captured the character of this uniquely New Zealand experience. 2018 was a year of updates for Whakarewarewa, with the team there working to overhaul their branding through a new logo, new headline font, and completely new print collateral. This gave us an exciting framework to base the new designs off, helping to build the character of the villages online presence for years to come. There was a lot we wanted to capture within the design of Whakarewarewa’s new website. As New Zealand’s only living Maori village the history, culture and stories of the village had to shine through, but we also wanted to emphasise the elements that overseas guests would remember with the bubbling blue geothermal pools and rising steam. The final design – 100% unique and custom to Whakarewarewa on every page – heroes the experience of visiting the village itself. Billowing steam, native gardens, and inquisitive puekeko frame the story and history of this tourism icon. One of the biggest weaknesses of the existing Whakarewarewa website was the closed-source platform that it was built on. Any changes to content had to be actioned by the agency who built it, with every change incurring a cost. This practice, while common, sits in direct opposition to the Maverick ethos. If its your website, you should have full access and control to change what you want. Whakarewarewa’s new website was built on WordPress 4.9, and updated to 5.0 upon launch. WordPress still gets some flack from digital dinosaurs who see it as a blogging platform, but they couldn’t be more wrong. WordPress is the single most popular CMS in the world, used on 52% of the top million websites by traffic, and 32% of the top ten thousand. Known for its flexibility, ease of use, and fantastic developer support, WordPress is the obvious choice for most NZ Tourism operators, and definitely for Whakarewarewa in this case. Due to its popularity, the marketing team at Whakarewarewa already had experience with WordPress as a CMS so were able to take handover of the site without additional time and cost spent in training. Any discussion with the web build team at Maverick is going to include load performance. Anyone browsing on a slow connection knows that a heavy, slow page is likely to get abandoned. This is especially true in tourism, where international roaming connections are notoriously bad. Whakarewarewa was built to be lightning fast, despite the large amount of imagery and even video used on the site. There is no longer an excuse for slow sites, and the lighting fast load times for Whakarewarewa prove this. Check out your own website optimisation score at GTmetrix and see how you stack up. Whakarewarewa is hosted by Maverick on Auckland-based servers with a global CDN (Content Distribution Network) to ensure that it remains lightning fast whether you are viewing it from your phone in Rotorua, or on an office computer in Birmingham when planning your trip.